Born on January 10, 1942 Prof. Ram Harsh Singh graduated in Ayurveda, Medicine and Surgery from prestigious Banaras Hindu University in 1961 with throughout top rank career. He did his Ph.D. and D. Litt under the supervision of Padmashri Prof.K.N Udupa and was awarded Doctorate of medicine Honoris Causa by Medicine Alternativa, Alma Ata jin 1983. He was elected fellow of National Academy of Indian medicine, jewel Member of all India Ayurveda Academy and was appointed National Professor by and was appointed National Professor by the Department of AYUSH. Govt. of India in recognition of his outstanding contributions in the field of Ayurvedic medicine besides many other awards and prizes including Hari Om Ashram Award, IASTAM Award, Capt Srinivas Murthy Meal and Vd. R.N. Sharma National Ayurvedic Research Award. He was been the member of National commission on History of science and Chairman scientific advisory committee of CCRAS. Prof. Singh joined the Faculty of Ayurveda at Banaras Hindu University in 1964 and served this institution for four decades as Professor Head Kayacikitsa & Dean, Faculty of Ayurveda at B.H.U. Subsequently (2003-2006) he served as the Vice Chancellor of Rajasthan Ayurveda University. Presently he is Professor Emeritus and senior Ayurveda Physician at University Hospital, BHU, Prof. Singh has published over a dozen important books on Ayurveda and over 200 research papers. He has contributed chapters to the prestigious volumes on History of Medicine in India & History of Technology in India published by INSA. He has produced 100 MDs and 30 Ph. Ds under his guidance. The classical Indian medical system called Ayurveda is one of the ancient sciences that have exerted its influence since ancient times till today. The tradition of Ayurveda dates back to the Vedas and has developed though the ages. Ayurveda is not merely medical sciences, but, as the word suggests, a science of life, that aims at granting man a life of a hundred years with full of health and happiness. Ayurveda talks of both and the mind and considers the disease as a psychosomatic phenomenon. The doctrine of tridosas is a very important theory that goes like a thread running through anatomy and physiology, diagnosis and treatment of diseases. Ayurveda advocates the importance of Dharma the righteous behaviour and advices to lead and ethical way of life in order to enable one to live a happy and healthy life. Some of the characteristics of Ayurveda are the various forms of pariksas like prakrti-pariksa, the materia medica, the pharmaceutics and rasayana therapy. The medical treatment of Ayurveda has proved to be effective and has therefore been acknowledged all over the world in recent decades as an alternative medicine, complimentary to the modern one. Like Ayurveda the system of Yoga has also become popular and the therapy based on the Yogic exercises is being used as complimentary to Ayurveda. It is well known that the philosophy of Ayurveda has a close relation with the system of Sankhya philosophy. However, it appears to have been influenced also by the Buddhist philosophical thought that postulates the doctrine of existential suffering, and shows the way to get out the cycle of the suffering. There are some concepts common to Buddhist philosophy and Ayurveda. For instance, one may have a glance over the first chapter of the Sarira Sthana of the Caraka Samhita, where there his an elaborate discussion on the fact of the suffering in life, using some of the terms, such as vedana, trsna, sparsa etc. related to the wellknown Buddhist doctrine of inner Pratityasmutpada. The Buddha is described as a great physician, cuing the disease of samsarikas by administering the medicine of the spirituality. One of the manifestations of the Buddha is Bhaisajyaguru, the master of medicine. The Buddhists in ancient India have contributed greatly to the development of Ayurveda. In Buddhist literature, one comes across the names of physicians, Jivaka, Kumarabhacca and so on. Vegbhata, the author of the Astangahrdaya was most probably a Buddhist. The translation of this work and other Ayurveda treatises into Tibetan rendered impetus to the permeation of Ayurveda in Tibetan medical system. Tibet has its own medical system known as 'Sowa-Rigpa' evolved in thousands of years. It incorporated significant influences from Ayurveda after Tibet embraced Buddhism in seventh century. The 'Sowas-Rigpa' also had interaction with other system of Yunan and china. After a gap of about thousand years it is now essential of revive the interaction between these two ancient traditions-which share many aspects of philosophical ground and approach -so that they can benefit from each other as each has its unique characteristics. They should come together to encounter the new challenges and interact with the modern medical system, which although has an extroverted approach based on the materialistic hypothesis and culture it embraces and ignores the entire nonmaterial inner world which constitutes the major part of man's being has made amazing contribution the human civilization with its meticulous research and findings. Through a healthful interaction of both of the ancient systems with the modern system the mankind can certainly be benefited. Scholars of the traditional and the modern tradition must make efforts for such joint venture. In his work titled "Body-mind-spirit" integrative medicine in Ayurveda, Yoga and Nature cure", Prof. Ram Harsh Singh gives the three systems of healing. Namely, the Ayurveda, Yoga and Nature cure and demonsrates how a holistic approach towards curing of diseases is necessary and helpful. He also takes into consideration parapsychology and occult sciences and explains the scientific basis of astral existence. Under five major sections he brings the entire Ayurveda systems of therapy providing a therapeutic system- Ayurveda medicine, nature cure and Biopurification, Yoga physiology, Yoga therapy, Parapsychology and occult experiences. The voluminous book contribution of as many as 65 chapters is highly edifying and informative and is to be acknowledged as a important contribution to the study of Ayurveda. Professor Ram Harsh Singh recasts the classical knowledge of the Ayurveda in a lucid language making it accessable to wider readership. I have high respect for his profound knowledge, devotion to the tradition and sincere care for the patients, which are the great characteristics of an outstanding vaidya. I am sure that this book will not only serve as a compendium of classical Ayurveda sastras but also bring the knowledge of Ayurveda to a wide spectrum of people and thereby contributing to the preservation and dissemination of the age-old rich Ayurveda tradition. Ayurveda, Yoga and Nature are based on three-dimensional concept of life encompassing the physical body, the mind and the spirit-"sattvamatma sariram ca Trayam etat tridandavat" (Caraka Su. 1:46). The system of health care and cure which are based on Body-mind-spirit consideration are currently called integrative medicine. The term Mind body Medicine too refers to the same contention. In the parallance Ayurveda is an integrative science, Ayurveda (ayu=life+veda=higher wisdom) is thus the science of life. Ayu the life in this context is considered as a four-dimensional enitity comprising of physical body, the senses, the mind and the spirit -"sarirendriya-sattvatama-samyogo dhari Jivitam" (Caraka Su. 1:42). It is in this perspective that Ayurveda considers swasthya ie arogya as the mulam of Purusarthacatustaya-"dharmarthakamamoksanam arogyam mulamuttamam (Caraka Su. 1:15)"
The consciouness component ayu ie the atman is considered to be an extention of the cosmic consciousness the Brahman. In be reality the individual consciousness and the universal consciousness are a continuum although this continuity is ordinarily marked by the prevailing ignorance or maya in a common man. The practice of Yoga and spirituality helps in resolving the ignorance/maya to make the individual being fee/perceive that he is not merely a phyical body, he is the atman and further that the atman is an extention of the Brahman in the individual being as Jivatma. Different schools of thought in the orient describe the idea of unified consciousness in different ways. The classical concept of sarira (subtle body) and Karana sarira (causal body) refers to the sama concept of united consciousness. The same reality is described by other in the context of pancakosa-annamaya. Pranamaya Manomaya, vijnanamaya and anandamaya depicting the gap and the scope of bridging the gap between the gross and the subtle, between in unconscious and the conscious between the matter and he energy between the finite and the infinite and so on. The oriental scholars and thinkers knew the science of this great continuum and they applied this higher wisdom in all spheres of life and its persuits. The western modern science too has been gradually coming to the same conclusions which is obvious from the recent discoveries in science of united field of energy and quantum physics. Such developments will definitely influence the practice of spirituality and health sciences alike in present times too. The western modern medicine had made tremendous advances in recent years, but these advances are limited to physical existence only. The subtle dimensions of life process and super consciousness have not been explored. The intense reductionistic approach of modern biosciences have passed form organ-tissue-cell approach to subcellula, molecular and gene level details. Our genes have made it difficult to correlate the gross functions of living body. Because of uncertainities about the utility of reductionistic details of genomics and its linkages with the micro and macro environment, many bioscientists are once again returning to holistic approach to system biology as was conceived in oriental biosciences through the theories of panca mahabhuta, triguna and tridosa which attempt to develop a manageable holistic science of life in tune with the united field of energy and consciousness. Ayurveda, Yoga and Nature-cure function on the same holistic approach considering life as a continnum of body-mind-spirit. The physical body-mind system conceived as sthula sarira functions like the outlet display monitor screen of a computer where subtle body and consciousness play the role of central processing/creating unit of the computer. It is believed that health is the product of subtle energetic body and a disease also begins in the suksma sarira and subsequently manifests in the sthula sarira in the same way as information are originally generated in the central processing unit of the computer and are secondarily displayed on the moniter screen. The body-mind-spirit approach of life health disease and cure is re-emerging again in present times as the fundamental consideration in this field and Ayurveda, Yoga and Nature-cure practices are attracting more and more people to study and practice pronature life style and positive health to meet the challenges modern life. The monograph "Body-mind-spirit" integrative medicine in Ayurveda, yoga and Nature-cure", attempts to present a brief account of these three traditional health sciences to illustrate their basic tenets, approaches and applications in promotive, preventive and curative aspects of health care. It gives a glimpse of body-mind-spirit consideration in practical professional settings in day to-day practice of integrative medicine. The text of this monograph is divided in five sections with about a dozen reader-friendly chapters in each section. The five sections are- 1. Ayurveda Medicine, 2. Nature-cure, 3. Yoga physiology, 4. Yoga therapy and 5.parapsychology and occult Experiences in higher yoga. Section .1 describes the basic tenets of Ayureveda including the integrative concepts of life, health disease and cure. It also describes the basics of pathophysiology, holistic diagnostics and promotive, preventive and curative modalities of health care and including the concepts of Nasthiki cikitsa and Laukiki cikitsa ie. Spiritual and therapeutic medicine encompassing Daivavyapasraya, Yuktivyapasraya and Sattvavajaya ciktisa. This includes genetic counceling, spiritual healing. Ayurvedic psychotheraphy and rational treatment modalities of Samsodhana (biopurification) and samsamma (palliative/ bio-balancing therapy), the latter includes application of natural products as medicaments, positive dietetics and life-style management. Section 2 describes the principles of Nature-cure. 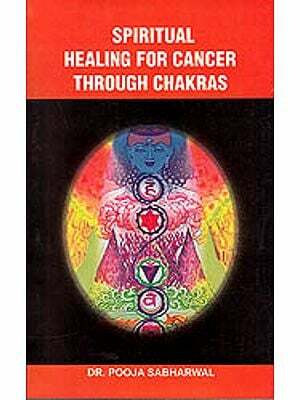 It defines Nature in therapeutic context and describes how nature-cure practitioners utilise the five-elemental entities (which constitute the entire material world) as the therapeutic tools emphasizing that individual being and the Nature are a continuum and preservation of health and occurance of disease are largely dependent on the Man-Environment interdependence. This section also deals with the concept of samya-vaisamya ie bio-balance/imbalance and Samsodhana biopurification of the body applying the therapeutic technology of Pancakarma. Section 3 attempts to bridge the gap between philosophy spirituality and biosciences through extended discussion on Yoga-philosophy, Yoga-psychology and Yoga-Physiology. This section specially focuses on the possible physiological influences of different yogic practices and spiritual persuits on body-mind system inorder to develop leads for therapeutic application of Yoga practices in clinical settings. Section 5 deliberates on higher Yoga, occult experiences and parapsychology as an attempt to consider the consciousness as an independent phenomenon operating in the united field of energy. The orient considers superconsciousness, the Brahman as the creater of the universe which extends also at gross level in living body-mind system. Such ad extention of consciousness is called atman ie Jivatma. The physical body, matter, subtle matter, mind, inner mind and the spirit form a spectrum of progressively expanding consciousness from gross to subtle. It is difficult to perceive this phenomenon in terms of present day science because of it own limitations. The modern science is yet to develop to be able to grasp the nature of non-physical energies and consciousness phenomenon. The modern science had made tremendous advancement in recent years but all its endeavors have remained directed to explore the external physical world alone. No attempt has yet been made to understand the inner non-physical world, the world of consciousness. Gradually the temper of modern science is also changing and it is believed that the next big breakthrough in modern science will take place in the sphere of non-physical infinite inner world and consciousness. The book "Body-mind-spirit" integrative Medicine" is dedicated to the seers who showed the eternal path of spiritual healing in the past, on one hand and to the thinkers of the contemporary times who helped restoring the continuum of science and spirituality and inspired the present generation of humanity to apply the eternal vedic wisdom in the contemporary field of health care and therapy. My revered teacher Late Padmasri Professor K.N. Udupa legendarily symbolized this wisdom. I dedicate this book to his unfading memories. I take this opportunity to acknowledge the help extended by Professor Jong Soon Seo, chair Department of Ayurveda, Yoga Studies and Meditation, Wonkwang Digital University, Iksan, Republic of Korea and the honorable President of WDU, where I worked as Full Professor in Ayurveda studies for a year in 2006. The present monograph was mostly drafted during this period and is largely based on my digital classroom teachings for the graduate student of this prestigious university. Some of the chapters of this book are abridged from my own earlier work "Foundations of Contemporary Yoga" published by the same publisher. I acknowledge the cooperation of the Publishing house Chaukhamba Surbharati Prakashan, Varanasi particularly Shri Naveen Gupta for his initiatives to take up this publication priority. I have also derive liberal help from several other publications in the allied field while developing the subject presented in this book. I acknowledge the contributions of such works specially the works of Kutler on Anatomy of Hathayoga David Frawley on Mind in Ayurveda and several other besides the electronic sources on scholarly websites like Wekipedia and several more. I am extremely thankful to Padmasri Professor Geshe Ngawang Samten Vice Chancellor, Central University of higher Tibetan Studies, Sarnath for writing the preface for this book. Professor higher Tibetan Samten a noted scholar of Philosophy, culture and Spirituality, so rich in his contemporary wisdom was kind enough to write the preface to this book for which the author and the publisher are grateful.